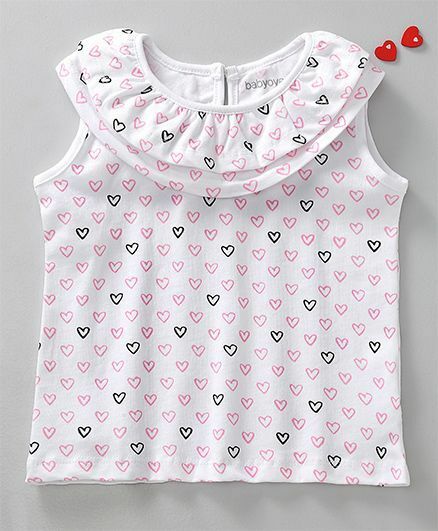 Brighten up your little one's wardrobe with this stylish sleeveless top designed by Babyoye. Featuring allover cute 'heart' print, this casual top for girls come with pull over style, round layered neck line and back button closure. Make her wear this soft fabric top with belly shoes and skirt. Styling Tip: Pair it up with skirt, belly shoes and hair band for a perfect casual look. The product quality is very good and received as expected.. Thanks..